I was looking thru my 'My Favorite Things' section. To see what I have already done. I didn't see what I thought I was going to see. It's pretty funny how I got to this. To seeing I never blogged about it. I was looking for Ugly Betty on Netflix (it's not) after being mad, I went to another one. I just knew it was on Netflix. I swear I seen it. 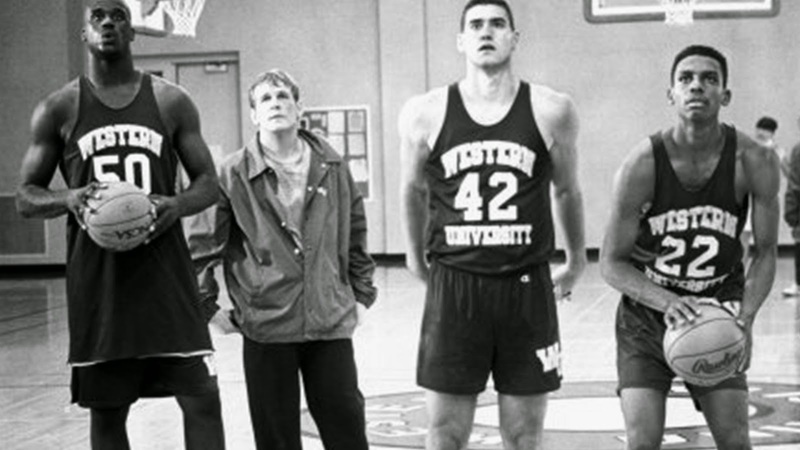 'Blue Chips'. I type into the search bar, getting happy to see the movie pop up. Only to be sad to see it not appear. They say they have it on DVD, ain't nobody got time for that.